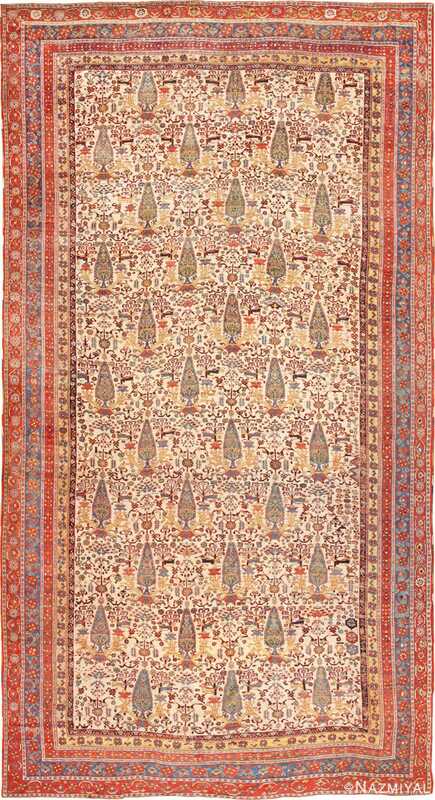 Oversize Garden Design Tribal Persian Antique Qashqai Rug, Country of Origin: Persia, Circa Date: Late 19th Century – The quilted appearance of this antique Persian rug is an artful illusion created by the body of interlocking diamonds of the garden design. 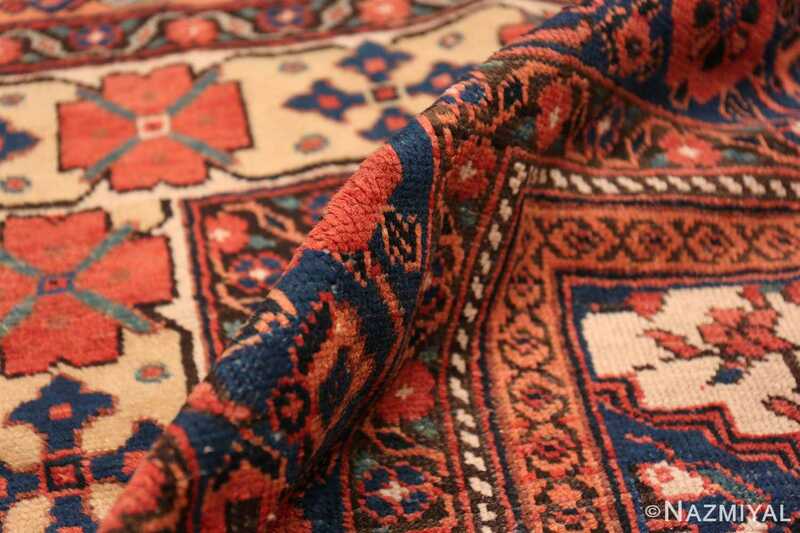 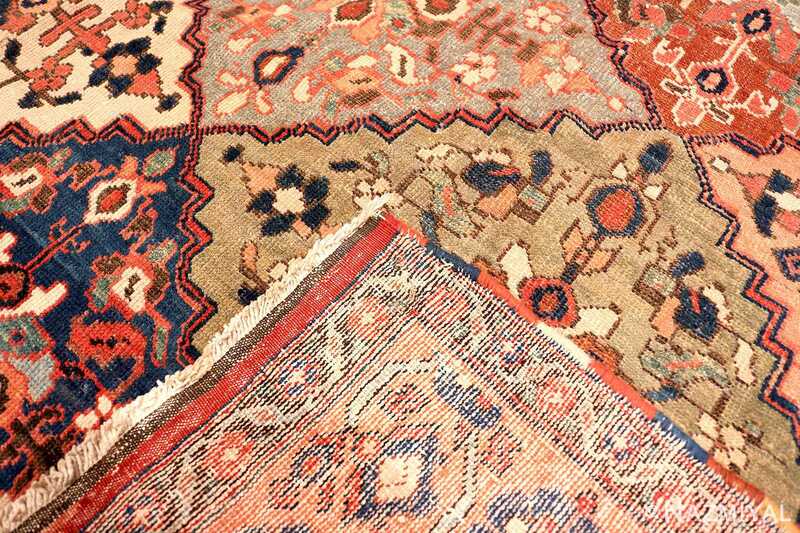 Each shape has a different background color, separated like patches by jagged, dark red lines that weave together and apart along the length of the antique rug. 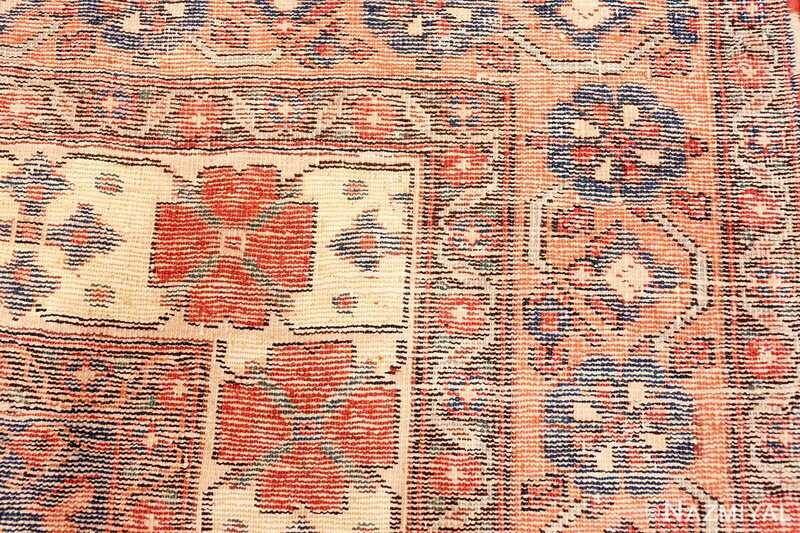 Within each, symmetrical floral decorations in red, white, blue and green are stitched with angular forms, featuring central blossoms surrounded by smaller buds. 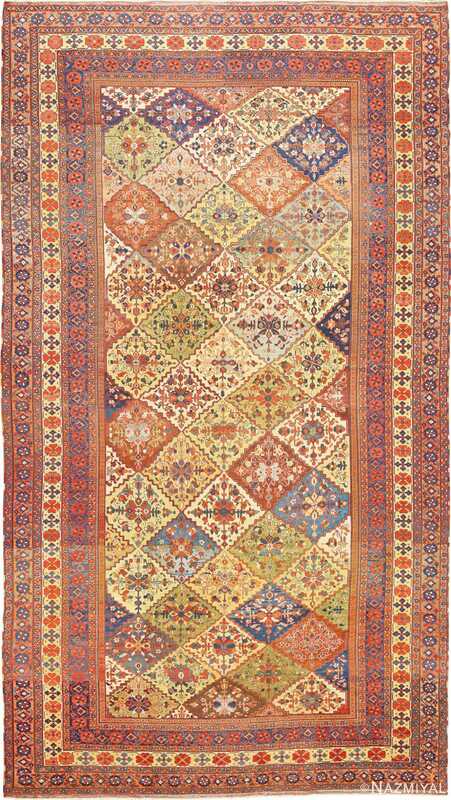 The patchwork mixture of varicolored diamonds is enclosed by an orange band with a stylized chain of roses. 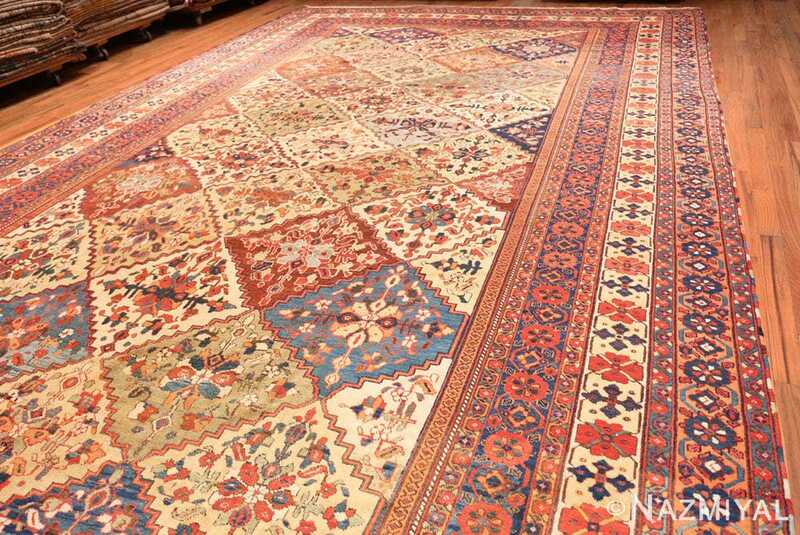 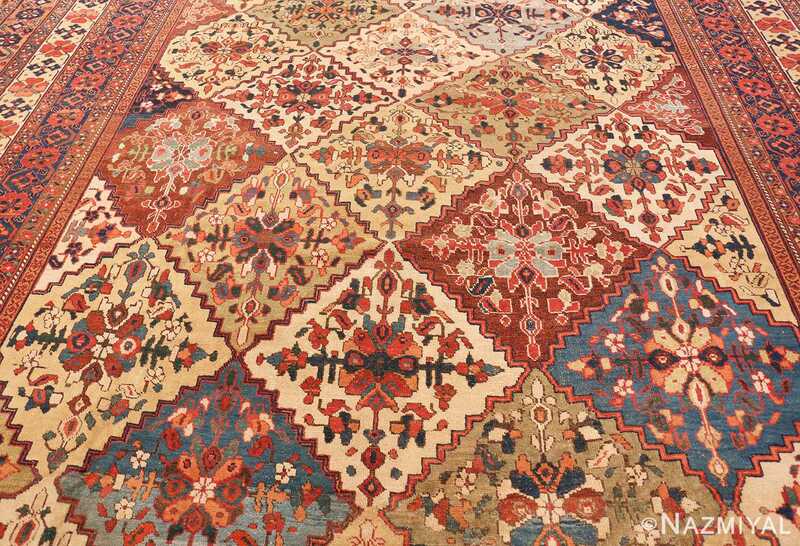 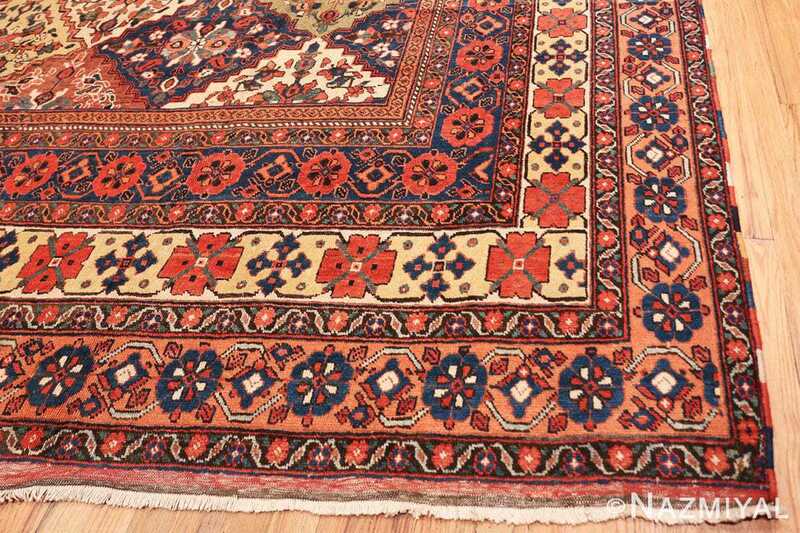 A series of elaborate borders edges the antique Qashqai rug, each carefully detailed with flowers, stems and leaves. 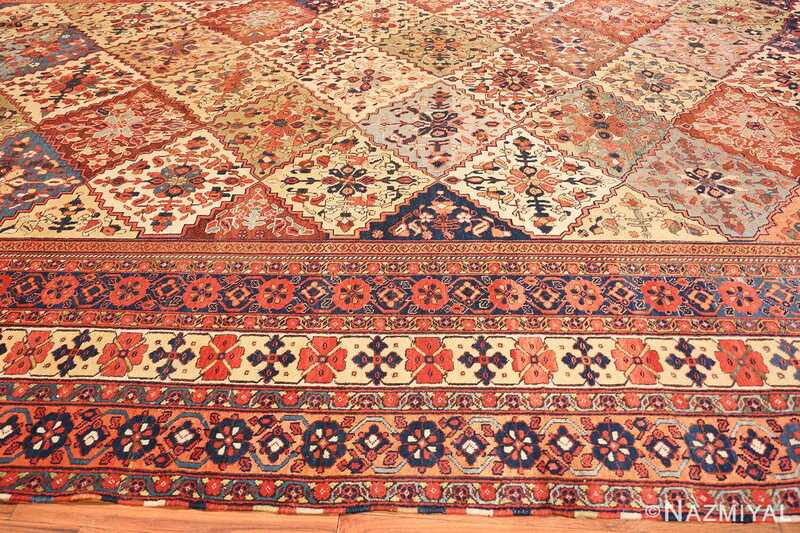 The central band is the lightest, backed in pale yellow with alternating red and blue four-petaled blossoms.